« Will the NHS collapse under the weight of obesity? 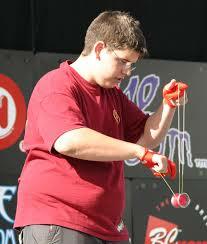 Opinions yo-yoing as much as weight loss? seemed pretty crazy to me! Even though it was a story reported in the Lancet, it was one that I couldn’t identify with at all. And nor should the press have identified so readily with it – after all it’s a mere 3-4 years ago that the headlines warned of the dangers of dieting! Then they said yo yo dieting was OK after all. Then they said it was dangerous – again! Was I wrong? Well thankfully not – because the news reports this morning state the opposite of those headlines last week – that it is vital that weight lost stays off! This is a piece of reporting that I can happily share with you – because I know it backs up previous good quality research! What this shows me – and what I want to share with you – is that it’s really important to understand the why behind the how when it comes to weight loss and health. It isn’t enough to blindly follow advice without that advice having been explained in detail, and for you to understand exactly how the food you are being asked to eat will be processed in your body, what effects it will have, and what the outcomes are targeted to be. And it isn’t enough for journalists to jump on a new headline without troubling themselves to look into exactly what they are reporting – because the result is another day another theory, and more confusion. That’s not fair to those of you who are determined to look after your weight and health, but are being misinformed and misled by unsubstantiated reporting. And that’s where RebalanceDiabetes is different: we don’t just tell you the how, we go to great lengths to educate you about the why. At the end of a RebalanceDiabetes program you look and feel a whole lot better, but you also have the skills to look after yourself for life – no more confusion, just clarity! This entry was written by rebalancediabetes, posted on May 28, 2014 at 9:48 am, filed under diabetes, Education, fat, healthy eating, NHS, RebalanceDiabetes, weight loss. Bookmark the permalink. Follow any comments here with the RSS feed for this post. Post a comment or leave a trackback: Trackback URL.